Ramps, those stinking starlets of Spring, are here for their brief season. Chances are, if you live in the Eastern states or midwest, you can’t escape their presence on menus, in farmer’s markets, CSAs (like our excellent Local Roots), and now even in some supermarkets. The question is, are they being foraged into oblivion? There’s hot debate about that. Although they're often photographed as impossibly lush shag carpets on forest floors, many botanists and pro foragers assert that, if harvested en masse, roots and all, they can’t properly regenerate and may go the way of the dodo. Others insist they're a weed and will outlive our own destructive presence on this planet. Whatever the case, it’s best to be safe and opt for ramps that are sustainably harvested, which ideally means leaves-only, or a few bulbs taken without removing the root stock. Lani’s farm, one of my favorite NYC greenmarket vendors, sells their ramps this way. If you forage for yourself, you can do this by digging around the ramp bulb and slicing just above the woody rootstock to free it—that part's not edible, anyway. Cover the rhizome back up so it can propagate the next year. 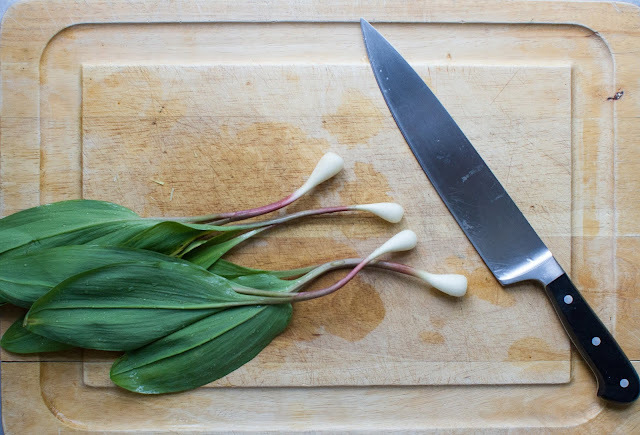 Although ramp bulbs taste phenomenal pickled, grilled, sautéed, and cooked just about any other way, you really don’t need the bulb to enjoy the essence of ramps. The leaves, as my grandfather would have said, “will put hair on your chest”—meaning they’re pretty feisty in their own right. I whir them into pestos with carrot or radish tops, puree them in soups, and use them to make one of my favorite things ever: ramp butter. Below is a dead simple recipe for ramp butter (Try it on warm cornbread. You’re welcome. ), plus a sprightly soup that makes use of all the alliums of Spring and requires just a few ramps mingled amongst their tame cousins. I throw the leaves in raw for maximum potency, but if you have an important meeting coming up or your digestion is on the sensitive side, you can simmer them in with the rest of the vegetables until they’re wilted. The color won’t be as brilliant, and the flavor? A more demure announcement of Spring. Soften about ¾ stick of unsalted butter at room temperature. Chop the leaves of about 8 ramps very finely—mince them up! Fold them into the butter and mix in a nice crystally salt like fleur de sel or Maldon until you get the taste right. Prepare ramps: Wash thoroughly and slip the outer membrane off the bulbs. Chop off and discard any roots. Remove bulbs and stems, then roughly chop them. Chop the leaves and put them aside until the very end (if you’re using scallions do the same). In a large heavy pot or Dutch oven, heat the butter gently until it melts, then add the leeks, onion, and ramp bottoms. Sprinkle a little salt over them and sweat them gently for about 7-8 minutes, stirring occasionally. Make sure they do not brown at all! Add garlic and potato and cook for about 5 minutes or so, stirring occasionally, then pour in stock. Raise the heat to bring to a boil, lower to a simmer, and cook, covered, until the potatoes are tender, about 30 minutes or so. Once potatoes are tender, throw in the ramp leaves and whir in the blender or with an immersion blender until very smooth. If you blender is not great you can run the whole thing through a strainer afterwards. Add the buttermilk, heavy cream, and lemon juice and add salt until it tastes right—the soup should not taste salty but all the flavors should assert themselves. If the soup is too thick, add a little water until the consistency is right. To serve: I prefer this soup chilled but it’s good warm, too. 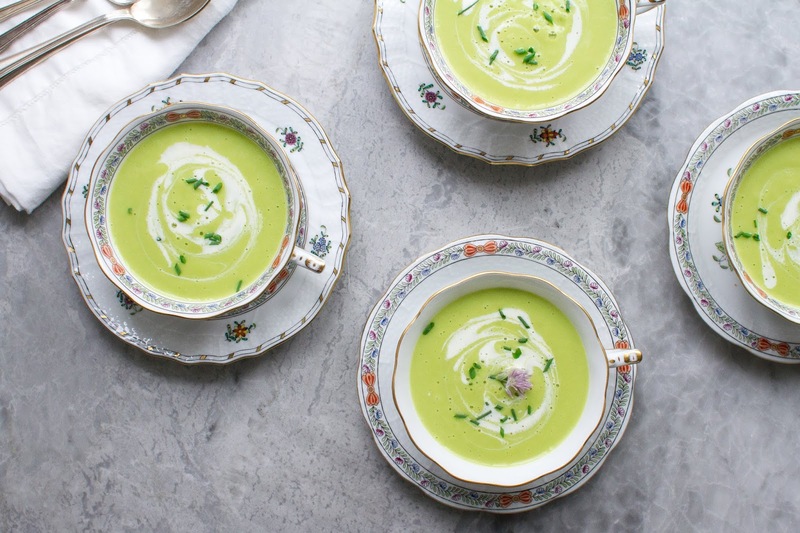 You can swirl a little cream or crème fraîche on the top and scatter some chopped chives or chive flowers.